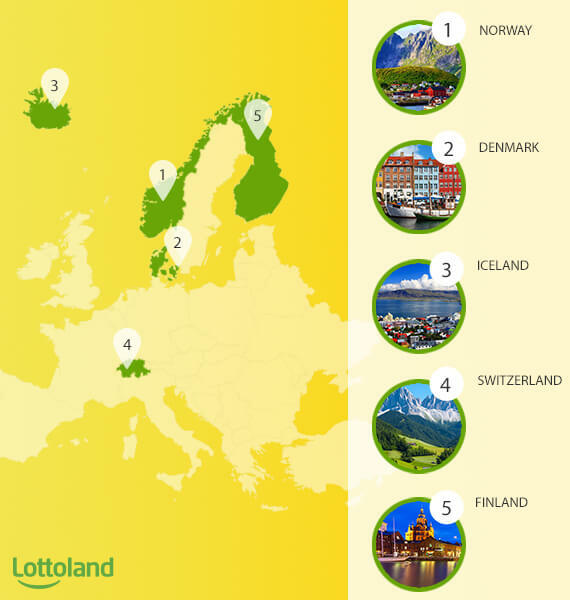 If you’ve ever thought about living abroad, maybe the list of the happiest countries in the world can provide some inspiration. The UN publishes a list of the countries which report the highest level of happiness – called the World Happiness Report – and this year they evaluated 155 different countries. This year the UK moved up 4 spots to a respectable 19th place, just one ahead of Chile and behind those cheery folks in Luxembourg. We are going to focus on the top 5 in the World Happiness list, and we’ve picked out some facts about each country which may go some way towards explaining why their populations are so happy about life. The World Happiness Report considers factors such as income, social support, generosity, healthy life expectancy, freedom, and perceptions of corruption. Each of these is ranked from 0 to 10 by citizens of the country in question, and then the results can be used to compare with other countries on the list. Keep reading to find out which countries topped the list, from fifth to first. Finland is not exactly a major tourist destination, but this Northern nation comes in at fifth place on the list. Finland has a very high standard of living, a generous social welfare system, very little corruption and a capable government. About 10% of the surface are of the country is composed of lakes, with forests taking up a massive 76% of the land. Finland is a pretty flat country, with the highest peak measuring 1,328m above sea level. Every year, in June, residents of the Finnish Championships organize wife carrying races. Other interesting and quaint (and kind of ridiculous) competitions include mosquito hunting, mobile phone throwing, swamp football, rubber boot throwing and the Air Guitar World Championship. 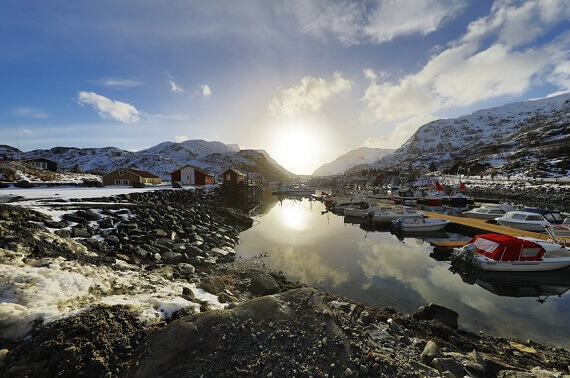 If you visit this "Land of the Midnight Sun" in June or July, you will see the sun 24 hours a day, and of course the opposite is true in the depths of winter. But bear in mind that’s only the case in the North of the country, like Santa’s home patch of Lapland. Traffic offenses, in particular speeding fines, are severely punished in Finland. However, the Finns take a very sensible approach to the matter of how heavy the fines are, as this is based on the salary of the driver. The highest penalty ever imposed was € 170,000 for driving at a speed of 80 km/h on a highway with a maximum speed of 40 km/h, so we trust that the perpetrator was in the high-earners bracket. The Finnish language, together with Hungarian and Estonian languages, belongs to a language group of Uralic languages ​​that don’t form part of the Indo-European language family. Interestingly, until June 1863 Swedish was the official language of Finland and for centuries Finnish had been the second language of Sweden, although Arabic may have overtaken it now. 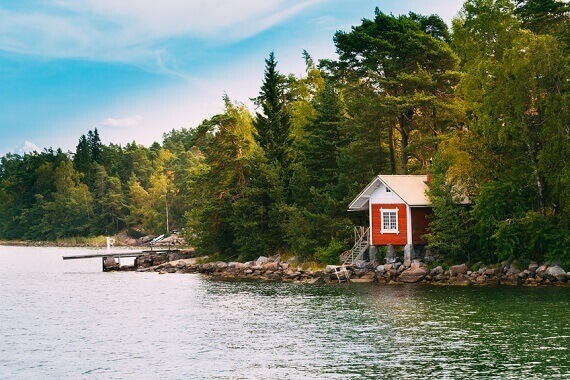 Finland has the most lakes and islands of any country in the world. There are 187,888 lakes larger than 500 square meters and 179,584 islands in this beautiful part of the world. The country is dominated by forest and lakes, making for some fairly awesome scenery. Switzerland comes in fourth in the list, boasting one of the world's strongest economies and regularly tops the list of the world’s most competitive countries. The Swiss are known for their delicious chocolate, army knives, watches and of course towering over everything are the Alpine Mountains. 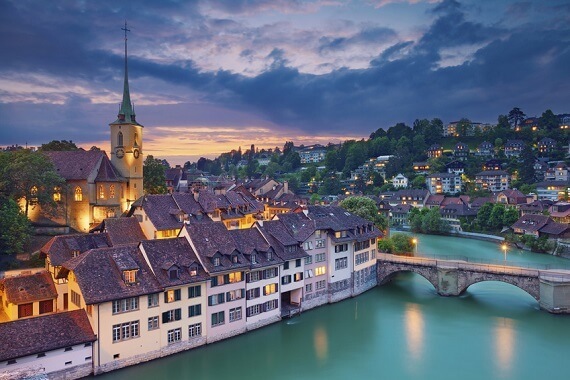 With a population of just 8 million, Switzerland certainly punches above its weight on the global stage. It’s a well-known fact that consuming chocolate can release endorphins in the brain to improve your mood, so perhaps it’s no coincidence that the choc-loving Swiss are such a happy bunch. According to swissinfo.ch, the average Swiss person eats more than 11 kilos of chocolate per year! Three Swiss cities scored high marks from the Quality of Life Survey in 2015, with Zurich ranked second, Geneva eighth and Bern thirteenth. The survey compared 39 different criteria, including the availability of public transport, the environment, economic, social and cultural opportunities, and more. The Swiss trader Henri Nestlé founded the company which bears his name back in 1867. This very company in 1938 developed instant coffee as we know it today, so you’ve got the Swiss to thank (or not) for your daily dose of instant caffeine. Swiss men live on average 81.3 years, while women hang in there for 85.3 years on average. According to the World Health Organization, it is the highest age in Europe and comes second only to Japan as the highest life expectancy in the world. Must be all that clean air. Up to four out of ten Swiss marriages end in divorce, so it seems that the romantic idea of ‘happily ever after’ may not work quite so well in practice. Divorce rates in Switzerland are one of the highest in Europe, with the Scandinavian countries and the United Kingdom the countries where the largest percentages of marriages end in divorce. Iceland is one of the smallest Scandinavian countries whose capital city is picturesque Reykjavik. 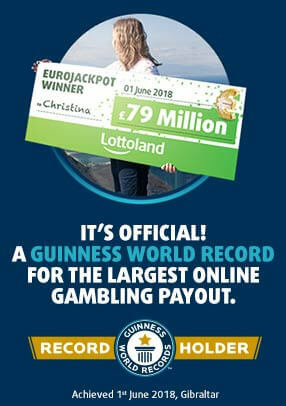 There are just over 300,000 inhabitants in Iceland, most of whom have made their home in the capital. It is the state with the lowest population density in Europe, making for plenty of wide open spaces and lots to enjoy for nature-lovers. The peculiarity of this island is that it is volcanic. 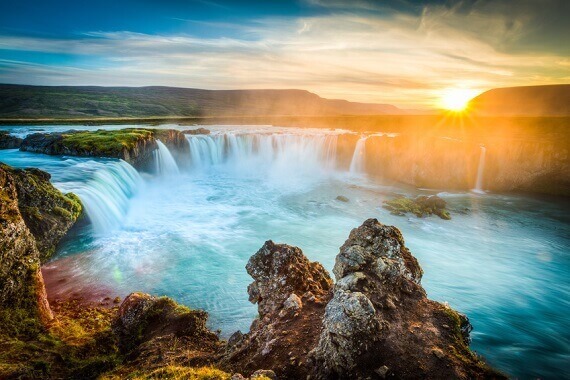 Iceland is one of only two countries in the world where two tectonic plates meet, meaning that the island is volcanic and dotted with thermal springs and geysers. On top of that 11% of the island is covered with icebergs although climate change may be causing that number to decrease over time. The people of Iceland use only first names, and family names do not exist here. Their second name is derived from the first names of their father, or sometimes the mother. What’s more, any first name that has never been used before in Iceland must be approved by something called the Icelandic Naming Committee before it can be used to christen a native Icelander. Iceland has one of the lowest levels of crime in the world, so much so that the police do not bother to carry weapons. Maybe this comes from a history where merely to survive in the hostile climate of Iceland required a lot of co-operation and harmony between people. The inhabitants of Iceland are known for their passion in books, with the ratio of books per capita in Iceland being among the highest in the world. It’s become a Christmas tradition to exchange books as gifts, which is why most books are being sold throughout Iceland and in November and December. According to bbc.com, there are more writers and readers in Iceland than anywhere else in the world, and one in ten Icelanders will publish a book at least once in their life. For the eighth time, Iceland has been the highest rated country in the World Economic Forum's research focusing on equality between women and men. In Iceland, there are no differences between boys’ and girls' education, minimum differences in the gender pay gap and Iceland has the best levels of gender equality in politics. Icelandic men are entitled to 90 calendar days of paternity leave so it’s a pretty good place to become a dad, especially when compared to the 2 weeks paid paternity leave in the UK. Paradoxically, members of one of the happiest nations in the world consume the most antidepressants, which makes us think that either the original Happiness Report was wrong or else those pills are working really well! Different theories abound to explain the Icelanders high use of antidepressants, but factors such as the cold, darkness and isolation may come into the equation. 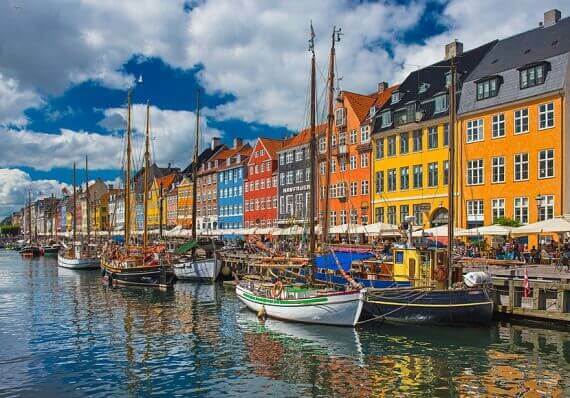 Denmark was judged to be the happiest place to live in last year's Happiness Report and was just pipped to the top spot this time around. Danes were also rated as the happiest people in the world in 2013, 2014 and 2016, falling to third in 2015, which must have been a particularly sad year in Denmark! Researchers from the University of Warwick have found a connection between the DNA of Danish people and their feeling of personal happiness, so it seems that happiness may actually be in the genes. In Copenhagen, 56% of its inhabitants use the bicycle as a daily means of transport. The city has built many cycling routes, so you can easily get to almost anywhere in Copenhagen on your bike. Cycling is not just for the metropolitan elite in the capital, as most Danish people around the country regularly ride a bicycle. Have you heard about Hygge yet? This Danish word refers to the philosophy of happiness, but also to a trend that has spread across the world encompassing culture, gastronomy, fashion, home design, and so on. For Danes, Hygge means enjoying the moment, and relaxing in a pleasant and restful environment. It means comfortable clothing, chic accessories, atmospheric candle light, good food, drink and good company. Hygge seems to sum up everything about Denmark that makes its citizens so happy. Danes work for an average of just 33 hours per week, with workers entitled to five weeks of paid leave. Free time is a central part of Danish culture, because Danes love to spend a lot of time with their family and friends. With that kind of work-life balance it’s no surprise that the Danes rank so high on the Happiness Report. Danes have to put up with the rain on average every other day, so I guess that they’ve learned to love the rain by now. The estimated number of rainy days in the year is 179, with about 765 millimetres of rainfall per year, mostly in the Autumn months. Denmark's geographical location between the mainland and the ocean causes the weather to change frequently and rapidly in Denmark so it’s just as well that they’re disposed to having a positive state of mind. Norway has managed to win the status of the happiest country in the world this year, knocking the Danes off their perch. The World Happiness Report states that Norway takes the crown not only because of its great mineral wealth but also despite it. Norway produces oil slowly and does not consume the proceeds immediately but invests in the future of its country, which should be a great inspiration for other countries in this ultra-consumerist world. Such a policy requires a high degree of mutual trust, similar goals, honesty and strong government, all of which goes a long way to developing a positive mentality. Other important factors which account for the happiness of the Norwegian people are the high levels of social welfare, low crime rates and a high level of education. Norway had two referendums to decide whether or not to join the European Union (in 1972 and 1994), and each time they decided that they’d prefer to do their own thing, thanks very much. Norway has enjoyed consistently high economic growth and their GDP is better than the EU average, so maybe the Norwegian model will provide inspiration to those Brits who are still feeling glum after the Brexit vote. Norwegian King Herald gave his father an ultimatum that resulted in the fairy-tale romance that endures to this day. He insisted that he would remain unmarried forever – and thus end the line of inheritance and by extension the monarchy itself – unless he was allowed to marry his ‘commoner’ girlfriend Sonja. King Harald V and his Queen Sonja reign to this day in Norway. Norway acquires 99% of electricity from hydroelectric power plants, more than any other country in the world. Up to 32% of Europe's potential hydropower is located in the territory of Norway, which puts them top of the green list. Would you be happy if your tax return was published on the Internet? Well, you’d just have to get used to it in Norway, as there you can check how much your neighbour or colleague gets paid. The tax returns of all payers are published each year in October and the financial information of every citizen has been made publicly available since 1800. Norway was the first country in the world to introduce Paternity leave, which pushes them higher up the order even than daddy-friendly Danes. Three months paid paternity leave must be made available to new dads, with the state providing them with financial compensation.